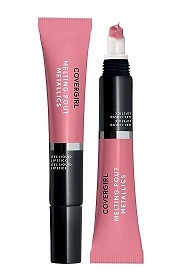 Covergirl Melting Pout Metallics Liquid Lipstick. 0.3 fl oz. Comes in colors: 200 24 Carat; 240 Rock Star; 275 Amped; 290 Platinum.